Fan made videos are all the rage lately on the Internet. If you’ve got a favorite franchise, chances are high someone has created a YouTube video crossing it over with your other favorite franchise. 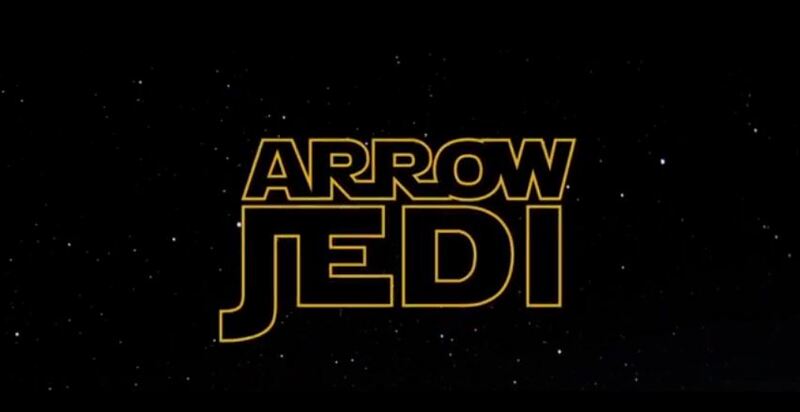 This week Dave Jones has used footage from Arrow’s midseason finale and it has placed Oliver Queen in the Star Wars universe. If you thought Oliver Queen battling Ra’s Al Ghul with swords was cool before, it’s even better with lightsabers. SPOILER ALERT is in full effect for this video.